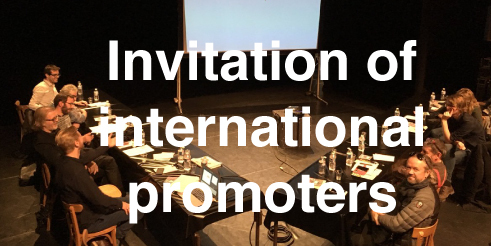 Created in 1994 and the first project which symbolised Afijma's international action, the program of inviting foreign professionals (programmers and journalists) represents a crucial action in terms of encouraging the dissemination of French musicians around foreign festivals and of bringing about a renewal of our own European programming in return. This project has a direct impact on the network’s policy since it is the source of the various projects that we developed. It also has a direct impact on the dissemination of French artists in Europe because of many French programming are made following the journey of foreign professionals among network members. AJC is therefore pursuing this invitation policy, essential for international exchanges, in particular exploring new areas to develop our network and extend it to new partners.